After the presents are open and you are full of egg nog and Christmas cookies, it's time to tune into television and watch some of your favorite athletes shine. Obstacle racing enthusiasts around America are being given the ultimate Christmas gift with OCR on two major networks! 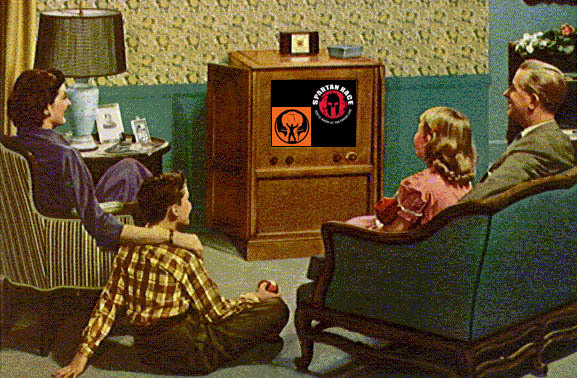 This year both CBS and NBC are airing their World's Toughest Mudder & Spartan Race World Championship broadcasts on Christmas Day. For the ultimate OCR Christmas Day first tune into CBS Sports Network at 1pm ET to watch the road to World's Toughest Mudder 2016. Then switch over to CBS at 2pm ET to relive all the action of World's Toughest Mudder. Watch Ryan Atkins and Jon Albon win $100,000. See how Stefanie Bishop dominated the women's field, and finally watch Trevor Cichosz run a nearly perfect race completing over 100 miles. After the 1-hour special switch back over to CBS Sports Network at 3pm ET to watch the after show, hosted by Amelia Boone talking with the champions about the race. After you have had your fill of Tough Mudder it's time to switch over to NBC at 5pm ET for the premiere of the Spartan Race World Championships. Watch Hobie Call be crowned Spartan World Champion for the third time since 2011. Watch Zuzana Kocumova capture her second Spartan World Champion title. Relive the moments of Faye Stenning and Lindsay Webster burpeeing it out as they are feet from the finish line.